These are fantastic. As a long time supporter of the Bring Back the Brown movement in San Diego, I love these. 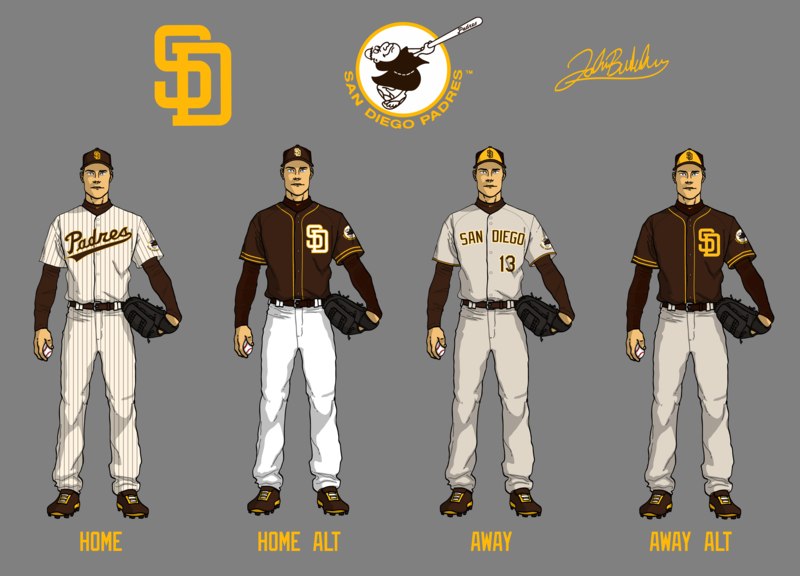 I asked the creator of these Padres uniform mockups (and photoshop master), John Brubaker, to comment on his creation. His inspiration? Tony Gwynn, of course. John: I couldn’t explain the motivation for this uniform redesign project any better than the late, great Tony Gwynn put it right there. Brown is who the Padres are. Every time the Padres wear brown they stand out from the crowd and become immediately recognizable as the San Diego Padres. When you see them wearing brown, you forget about the team that has sheepishly changed their uniforms a dozen times in their short history, and instead see a bold, unique team from San Diego that’s confident in who they are and proud of their identity. Thanks, John! Great work. Your move, Mike Dee and Wayne Partello. 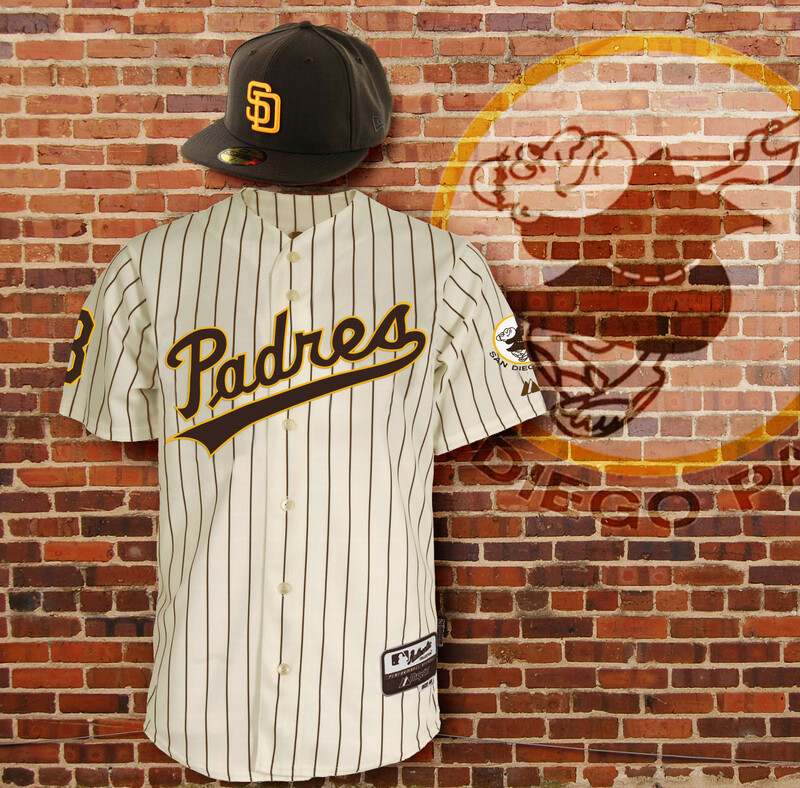 This entry was posted in Baseball and tagged Bring Back The Brown, Padres, padres brown, padres brown jersey, padres uniform redesign. Bookmark the permalink.